a small team, a clear goal. You create a prototype and have it evaluated by customers. It is the ideal framework to validate ideas and solve problems. In just four days! Using this Google Ventures method to validate new ideas, a Design Sprint can answer critical business questions, create a prototype quickly and get immediate feedback from users. How can you get more for less? The method comprises the best practices from Design Thinking, UX Design, Lean Startup and Agile to develop and test products and services in less than a week with guaranteed success. If you are not afraid of innovation and your team wants to improve, you should try out this method in your projects (with regard to services, products, applications or startup). You don't need any previous knowledge, just the desire to create something great! And an expert design sprint facilitator at your side - or you can become a facilitator yourself. You can act in different roles, e.g. as a decision maker, moderator or expert. For the creation of the prototype team members need to act as makers, writers, asset collectors, stitchers and interviewers. Choose the role that best suits you or your experience and helps your team and make sure that decision-makers and facilitators have the necessary skills. Set a strategy and a goal based on your users, their needs, context and competition. Develop solutions through the visualization of your problems and the grouping of ideas. Choose the best ideas from which to design a viable concept. 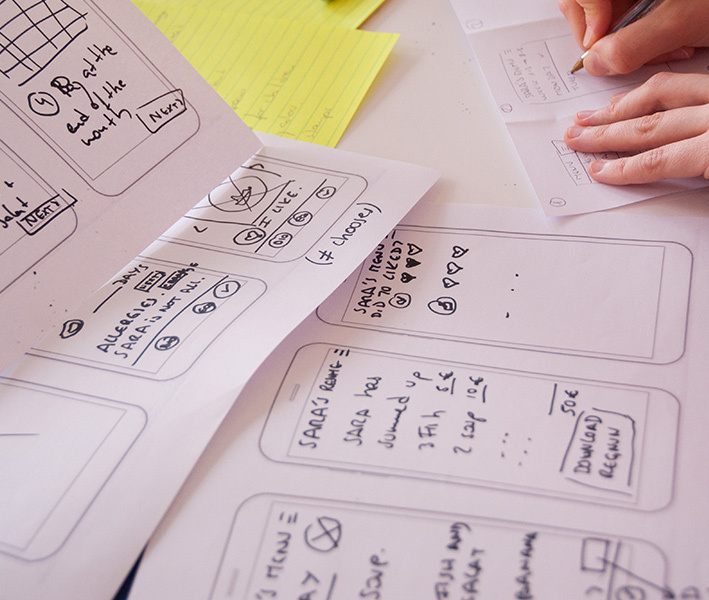 Build a prototype that values smooth usability more than an extraordinary design. Present the prototype to real users outside your company to learn first hand what works and what doesn't. Why doing a Design Sprint? You seek to drive innovation and encourage user-centred thinking. Want to improve, adapt or create your products or services in a few days. Your goal is to get a tangible prototype to test with customers. All this is true including saving time and money! From 7 to 9 people (one person in charge and several experts from the company in marketing and sales, finance, UX Design and IT and/or logistics). A large, well-lit room with walls or whiteboards, panels, or white paper attached. Fundamental for controlling time and setting the pace of the Sprint. Sticky notes of two different sizes, markers, A4-size sheets, duct tape and round stickers will be your allies in shaping your ideas. Fruits, dairy products, nuts, chocolate, coffee or tea are ideal to maintain the energy level high throughout the day. The new Design Sprint manual will be available from May 2019 in German “Das Design Sprint Handbuch”. 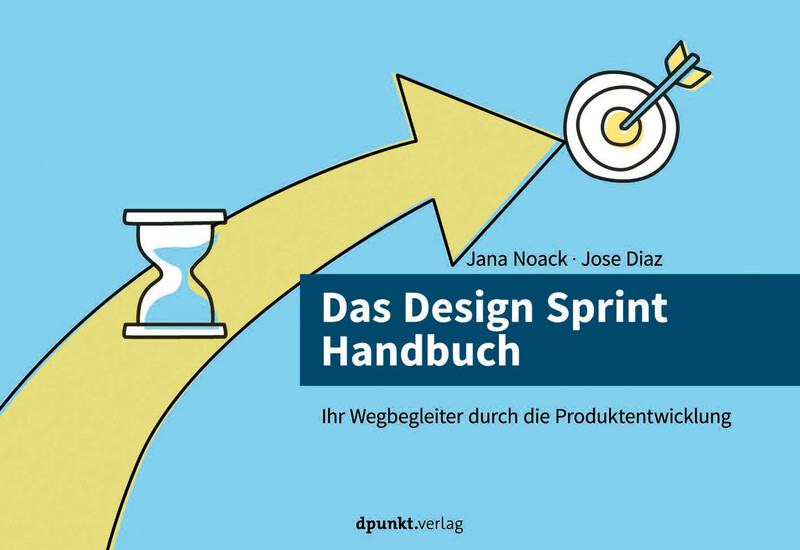 Jana Noack and José Díaz, Innovation Coaches at trendig, have summarized their experiences from numerous Design Sprint workshops and trainings in this book. It will serve as a companion and reference book, so that everyone with the book on the table can perform their design sprint. Want to learn how to do a Design Sprint? If you are interested in Design Sprints and want to learn first hand the process and how to do it, the Design Sprint Master workshop is what you need. 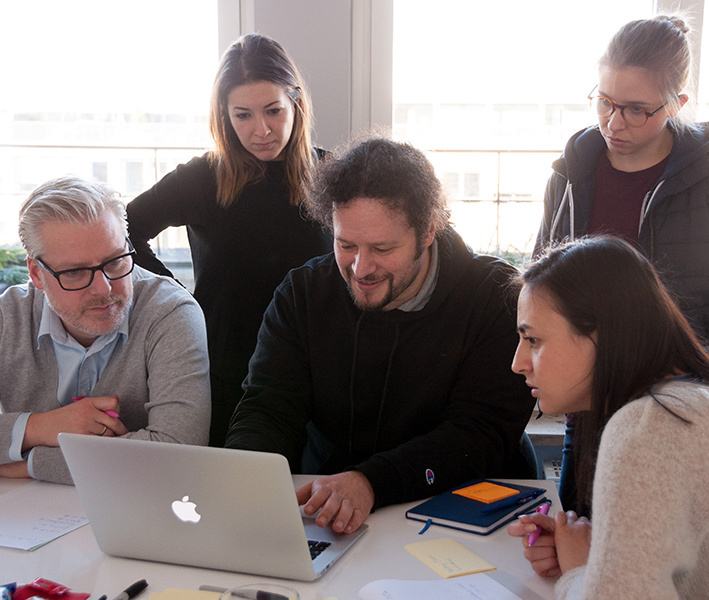 In just 2 days, this course gives you the necessary tools to learn everything about the Google Design Sprint method and then successfully complete it with your team. For this reason, the course is 100% practical and you will be working with a real innovation challenge. trendig technology services GmbH offers this course. You can choose to do the workshop yourself or, if you prefer it, come with your whole team! Do you want to do a Design Sprint in your company? If you have a problem to solve or an idea to validate and you want to find a solution testable with clients, doing a Design Sprint might be a great step forward for you. 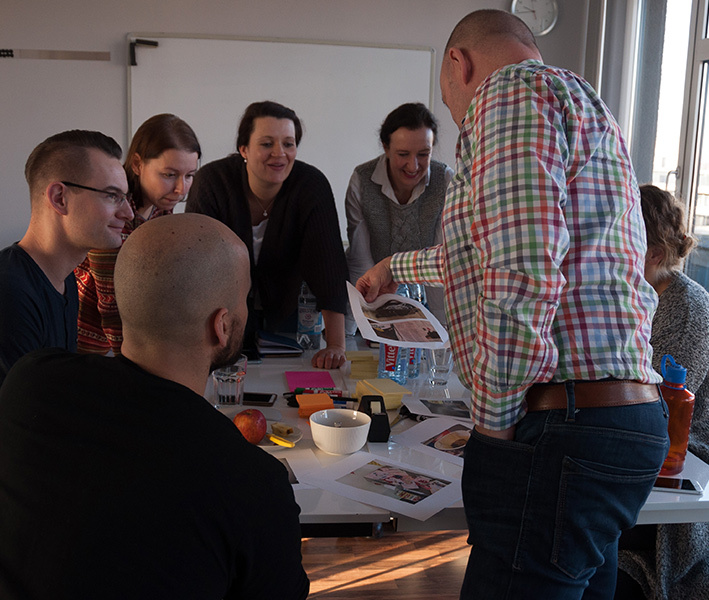 In just four days and with the help of an experienced facilitator, you can carry out a Design Sprint with your team to develop a prototype and validate it with real customers. It is the best way to see if the solution to your problem is the right one or not. trendig technology services provides you with a proficient facilitator and, if needed, additional experienced staff (UX designer and software engineer)! Do you have any suggestions or questions about the Design Sprint? Write to us! We are happy to answer all your questions!